In Amsterdam on business? Book this spa for post meeting relaxation. If you have an upcoming business trip to Amsterdam, make sure you leave enough time to visit AWAY spa, located at the W hotel. Trying to decide between a museum or this spa, we will happily make the choice for you— go get your robe on and hit AWAY spa. This place is unlike anything we have ever seen. If you can schedule it, we recommend going to AWAY spa before having drinks at the gorgeous restaurant/bar, The DUCHESS, upstairs. Now, a little more about it. If you’re a business and pleasure reader, we know you like a good spa. This one has become an all-time favorite for many reasons. 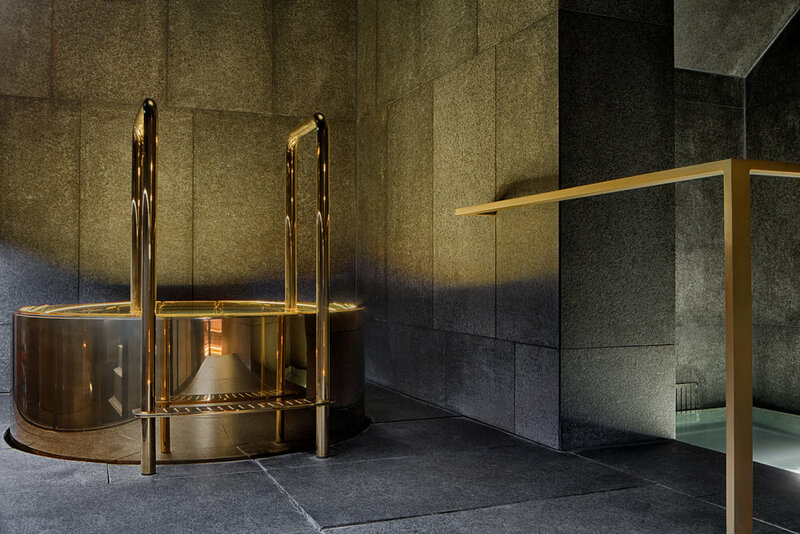 Located in the bottom of the W hotel, this spa is in the historic bank building, which was built between 1906-1908 and housed KAS bank for 99 years. This side of the property has a very exclusive feel with bespoke venues. The exchange across the street which is also apart of the W hotel was designed to bring the people of Amsterdam together. The roof top bar is worth a drink to take in the view and a dip in the summer. AWAY spa features include a cold plunge pool, hot tub, shaved ice, sauna, steam room, pool with music underwater, a larger hot tub, and table service. Beyond the design, what was truly unique about this spa was how the atmosphere transformed during our stay. Unlink other spas, the music is not your typical enya-esque spa tones, but rather down-tempo, r&b/hip hop. As the music changes, people congregate near the pool and sip champagne. The social vibe begins to pick up and it makes you stop and wonder...did I just get into the coolest venue in Amsterdam? A special thanks to the amazing staff at AWAY spa who not only took incredible care of us, but had a true love for the property/space, which of all the guests took notice of. Traveling on business to Cleveland?We have found the best boutique hotel. Look no further than the Kimpton Schofield in downtown Cleveland. This boutique hotel is centrally located in Cleveland which makes it easy to hop to meetings in the city. 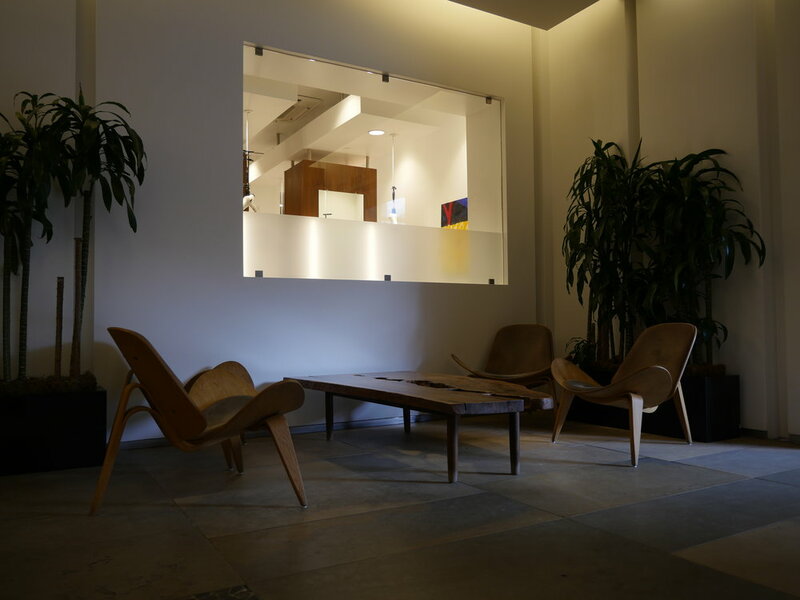 The lobby is perfect for morning emails and calls. 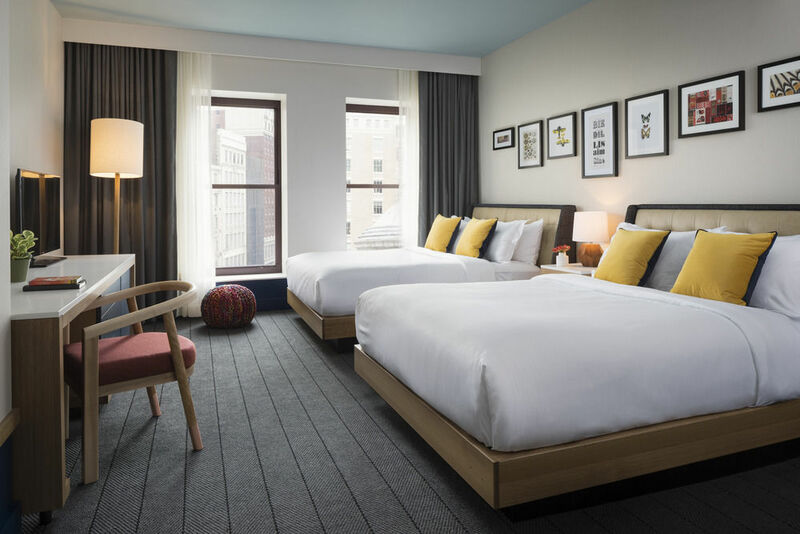 Rooms are spacious and come with your standard Kimpton benefits. Full gym...no steam room. Traveling for work is being simplified with new start-up, businessandpleasure.com. The new site is designed to make travel for those on business an easy and pain-free experience and more than just a quick visit. Business and Pleasure is achieving this through simplifying travel to the four key elements of a successful and enjoyable trip: coffee, cocktails, restaurants and places to stay. The site is developed for a selection of cities — Seattle, Raleigh and Austin, Texas, just to name a few. Despite being launched only four months ago, the site plans to expand its reach to more cities. Businessandpleasure.com has already grown from 100s of views to thousands. Devin Patel, the founder of businessandpleasure.com, was inspired by his time studying abroad in college to build the site and get involved in millennial business-travel. Patel’s excitement for travel is still a major part of his life, as he travels two weeks of the month to expand the site. Just as Patel is revolutionizing business travel, he is driven to bring attention and praise to those that are changing their own industry. In addition to the city guides are interviews of local people thriving and challenging the norms of their craft. Katie Button, the chef and owner of Asheville’s Cúrate, is featured in an interview for her innovative take on authentic Spanish cuisine. For the San Antonio page Patel worked with Natalia Prieto, the account director of Giant Noise, a public relations and social media firm that works to gain exposure for its clients. “Businessandpleasure.com is adding great content to the hospitality industry by providing in-depth articles and where to go when you are on a business trip,” Prieto said. Patel worked with Tracey Johnston Crum, Director of Public Relations and Community Outreach at The Omni Grove Park Inn for the Asheville page on businessandpleasure.com. Going forward, Patel’s goal is to expand to more cities and continue to produce quality content. He also potentially sees a membership program being incorporated into the site. Patel emphasized his strong desire to help give undergraduate students opportunities to gain experience and build business connections. “I want to give similar internship opportunities to undergraduate students, so that they can get their foot in the door,” Patel said. Top 3 Cafes in Austin T.X. We had to attend to some business in Denver and decided to hit Beaver Creek Mountain for some last minute spring skiing. After two days of early morning ski days, my colleague and I decided to not ski the last day and look for a nearby spa. Now, if you are a reader of B&P you already know our immediate desire was to find an exceptional steam room. Our searches found that the Westin’s Spa Anjali was the place to go. Named one of the "Top 25 Resort Spas" in the U.S. by Condé Nast, the spa has all the features one would need to melt away the soreness and detox the hot toddies out the system. Unlike many other spas, you can buy a day pass and not get a treatment if you chose. My colleauge opted for a massage and was extremely pleased. After check-in, you get your locker, robe, sandals, and access to complimentary snacks. With the day pass, you have full access to the Westin facilities such as their high-tech gym ( they have Peloton bikes!) and the outdoor water facilities. The outdoor features are stunning. There are three salinated infinity hot tubs ( yes that's a thing) and an Olympic lap pool overlooking Beaver Creek mountain. I read my newspapers ( they have NYtime & WSJ) while I soaked. After your muscles are sufficiently loose, use their steam room and dry sauna for a serious detox session. They also had a spray bottle of eucalyptus mist in the steam room for guests ( first I’ve seen). After you skin is pruning up, you can use their men's grooming utensils to highlight your new improved relaxed glow. We had an excellent time here and give The Spa Anjali our B&P seal of approval as the best spa in Beaver Creek Avon Colorado. Look to spend $40 for a day pass if you are a guest at the Westin and $50 if your visiting. $140 with a massage. We had the fortune to be invited for a dinner at the exclusive Beano's Cabin. A restaurant only accessible by snowcat, Beano's is situated in the middle of Beaver Creek Mountain. We recommend having a couple of drinks earlier at the Chop house at the base of the mountain before climbing aboard the Beano's cat...it gets chilly and a booze blanket beats all blankets. After arrival, you put your shoes away and slip on fuzzy slippers provided by the restaurant. Walking into the main dining room, you feel as if you just entered Robert Redford's winter getaway. Ornate wood beams loom above you next to the four deer antler chandeliers that light the space. Our meal consisted of 5 courses all paired with wine. Beyond the quality of the food was the service. Orchestrated down to the minute, each dish came out just at the right time allowing the perfect amount of time in-between courses. 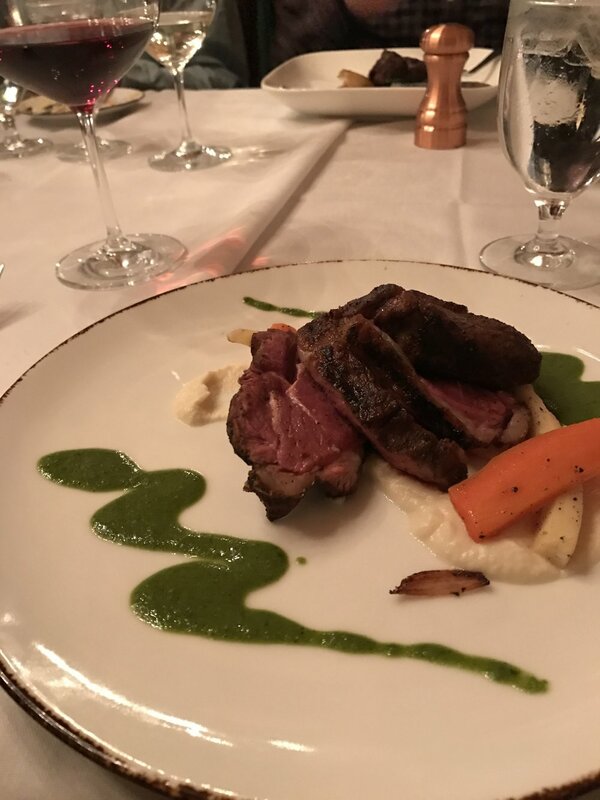 The staff recognized when there was engaging conversation at the table and made a point to silently skate between guests to fill wine to ensure no disruption. 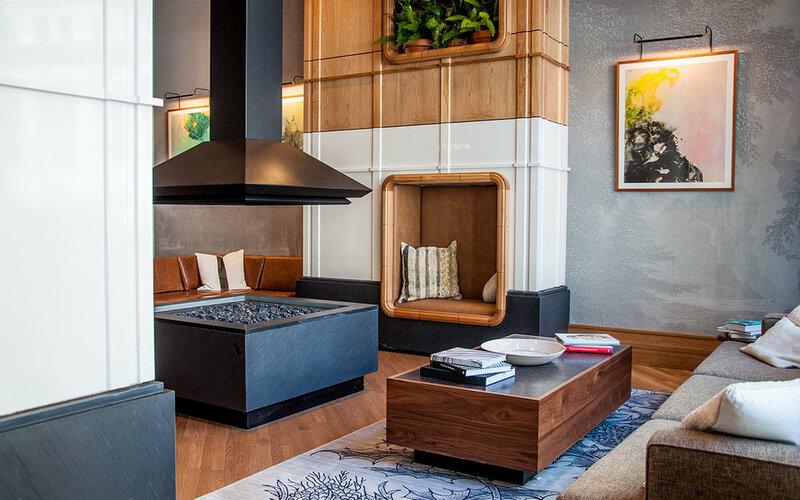 If you need to impress a client during a ski trip, this is the place to go. The meal is an experience that you and your dining partners will talk about for a long time. Look to spend $100-$150 a head.